For centuries, the Noto Peninsula which juts out into the Sea of Japan, was at the center of cultural exchange. 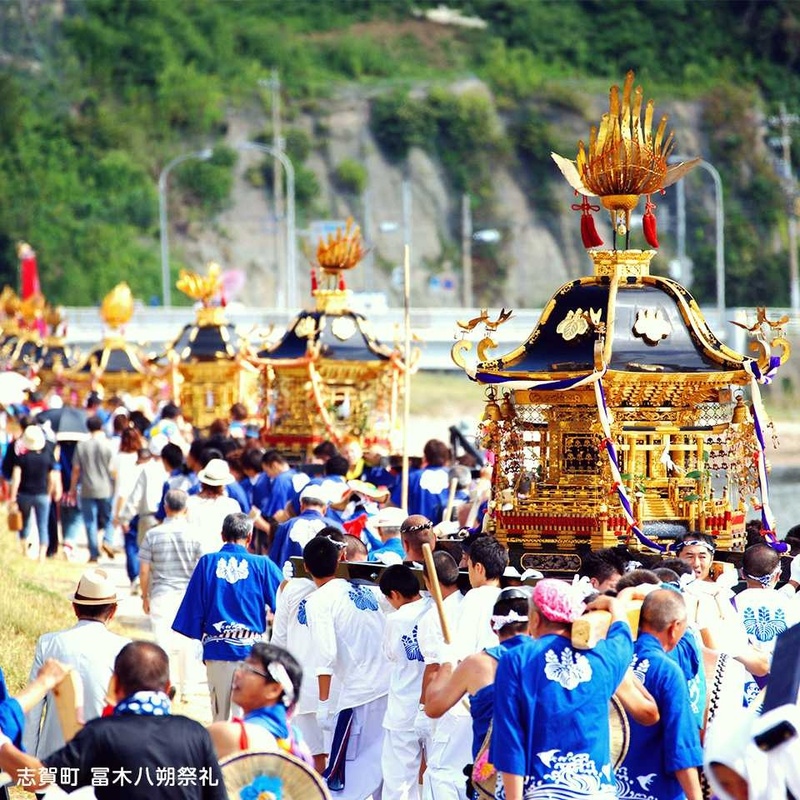 This allowed the peninsula to develop its distinctive culture with numerous local matsuri (festivals). 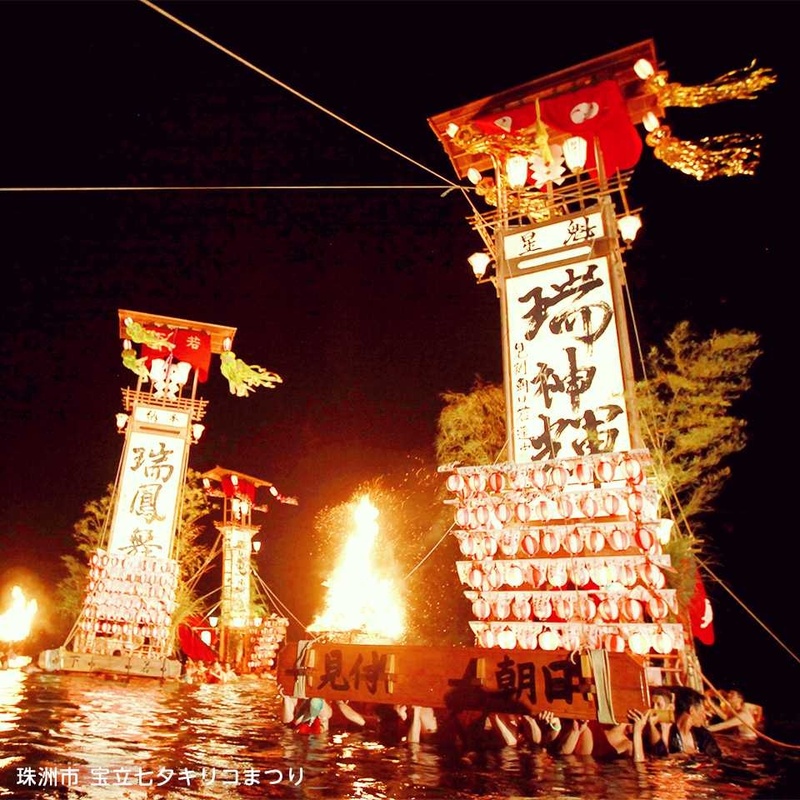 The most celebrated among them are the Kiriko Festivals with their illuminated lantern parade floats. 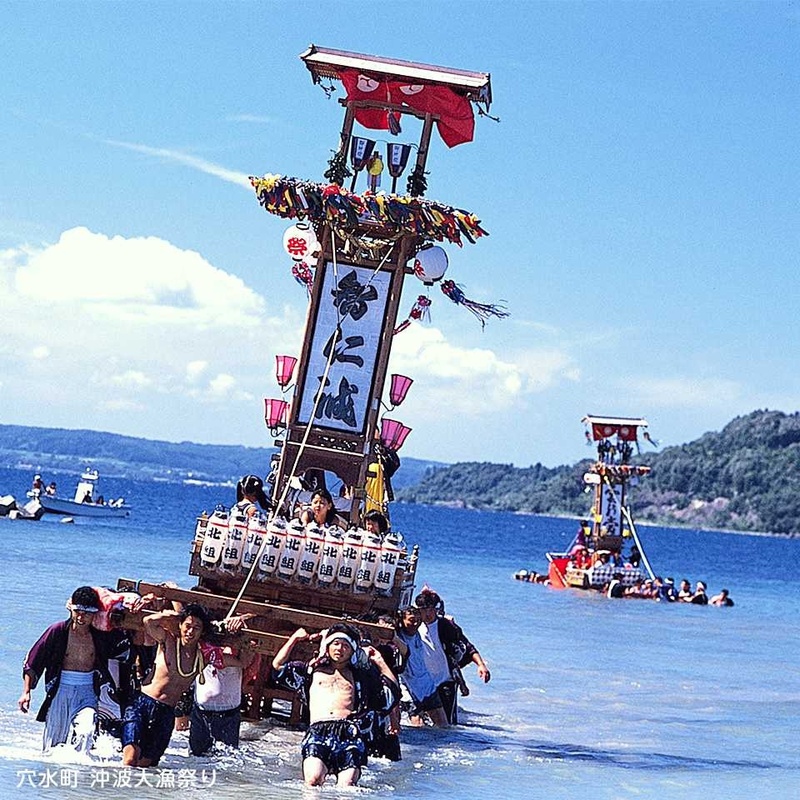 In summer, around 200 districts are lit with tall kiriko lantern floats, and residents of old farming and fishing villages form processions in which they carry mikoshi (portable shrines) and kiriko, which can weigh up to 2 tonnes each and reach heights of 15 meters. These floats compete for the honor of being judged the most fierce and spirited. 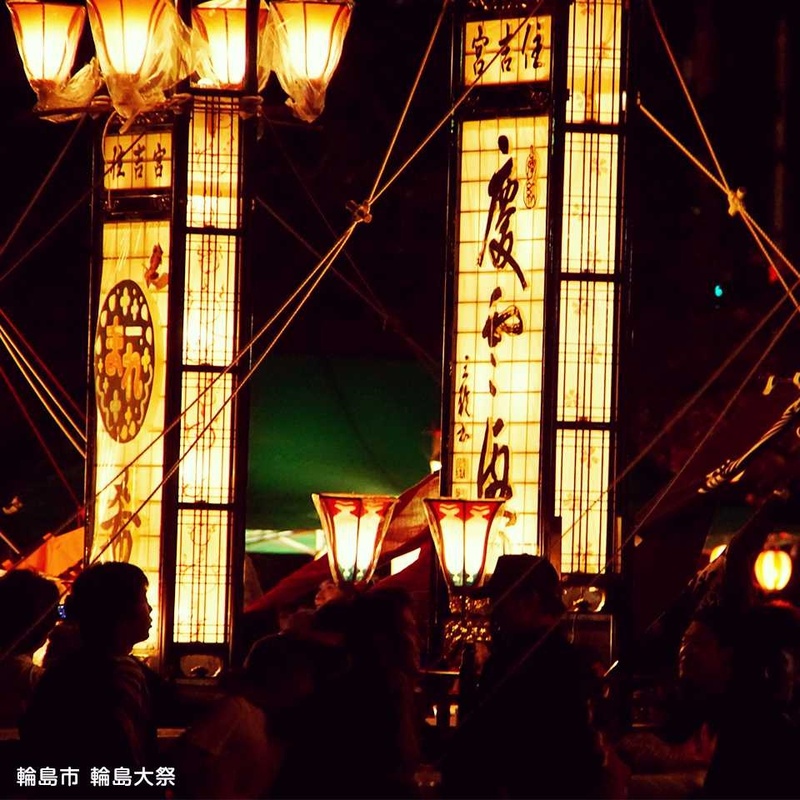 The festival’s origins can be found in Gion-shinko faith and in Japan’s summer purification rites. 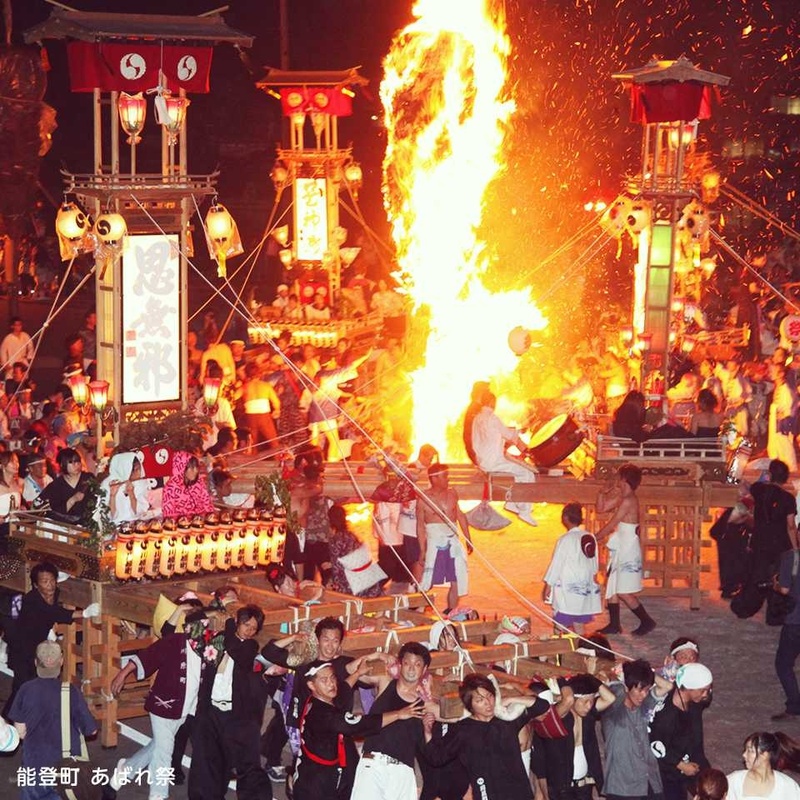 The Noto Peninsula is the only region in Japan where such a large number of lantern festivals take place. 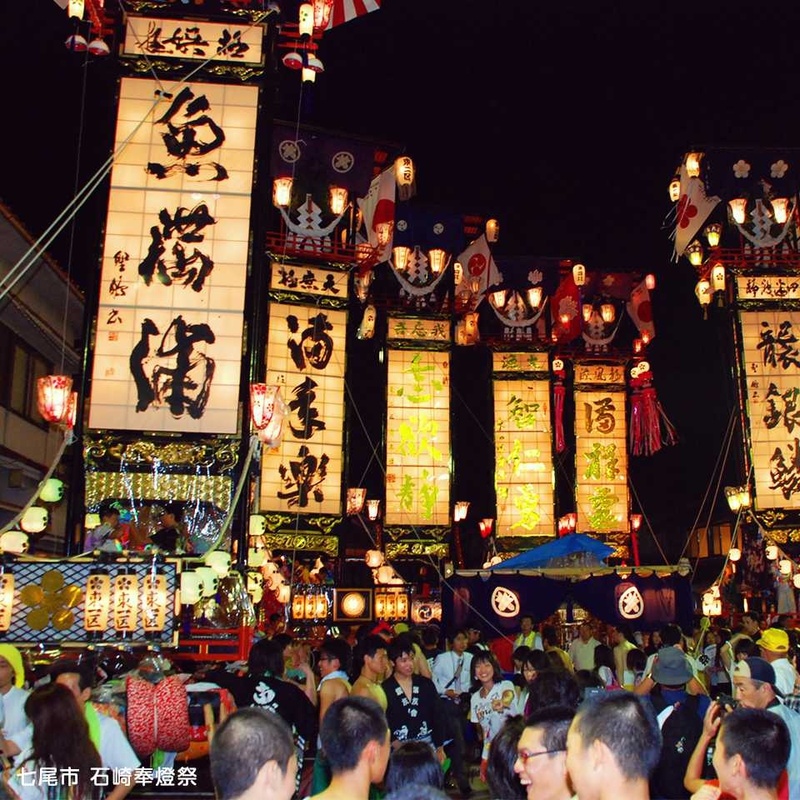 A summertime visit to the region would not be complete without encountering one of these festivals and experiencing the spiritual presence of the Japanese kami (deities). JR Kanazawa Sta.（Nanao Line）〜JR Wakura-Onsen Sta.（Noto Railway）〜Anamizu Sta. JR Osaka Sta.（Hokuriku Line）〜JR Wakura-Onsen Sta.（Noto Railway）〜Anamizu Sta. JR Nagoya Sta.（Hokuriku Line）〜JR Wakura-Onsen Sta.（Noto Railway）〜Anamizu Sta.